Seventh Generation super-sized wipes give you the comfort and performance of cloth in a handy, take-along package so you always have a fresh, clean wipe at hand when you need one. 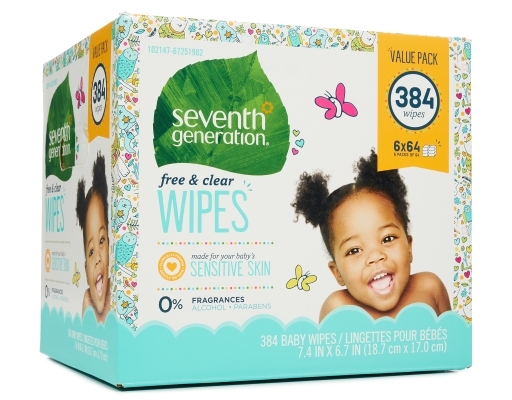 Clean messy mouths, hands, and feet too! Sensitive little bottoms demand extra TLC at changing time. 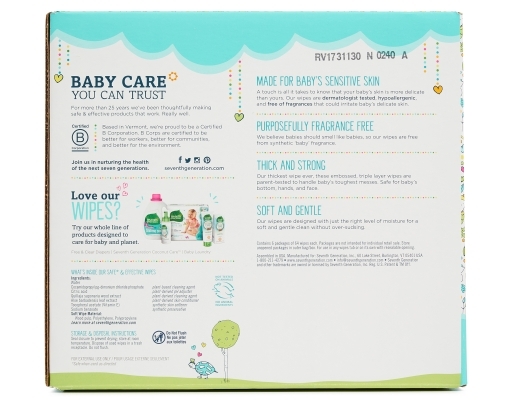 Free & Clear Baby Wipes combine gentle, cloth-like performance with the strength you need to wipe away little (and big) messes. 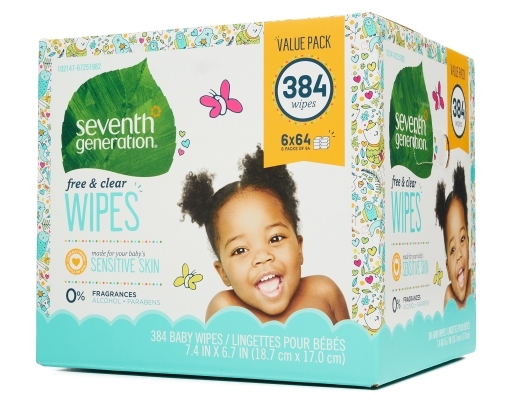 Designed to be Kind to baby's skin, they're great for quick clean ups for everyone. 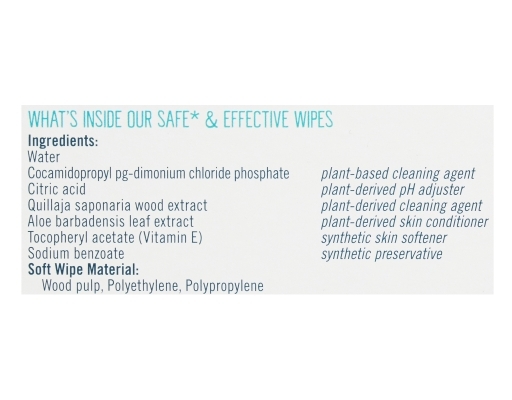 Free & Clear Baby Wipes work gently with plant-derived ingredients. 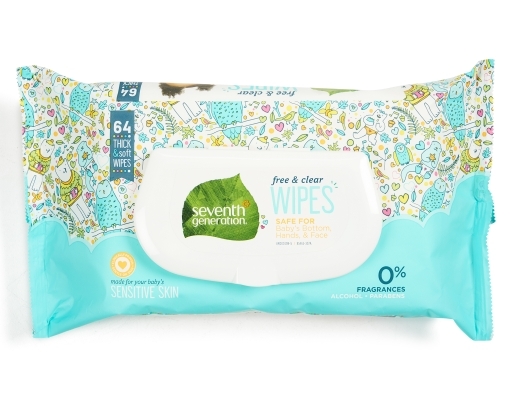 Unscented baby wipes by Seventh Generation are thick, strong and ready to get to work. 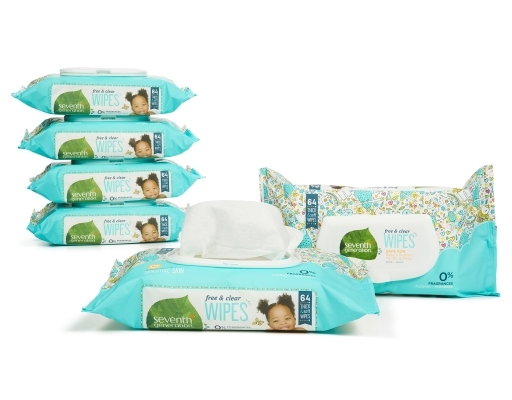 These generously-sized wipes are built with the cleaning power you need and the care your baby deserves. 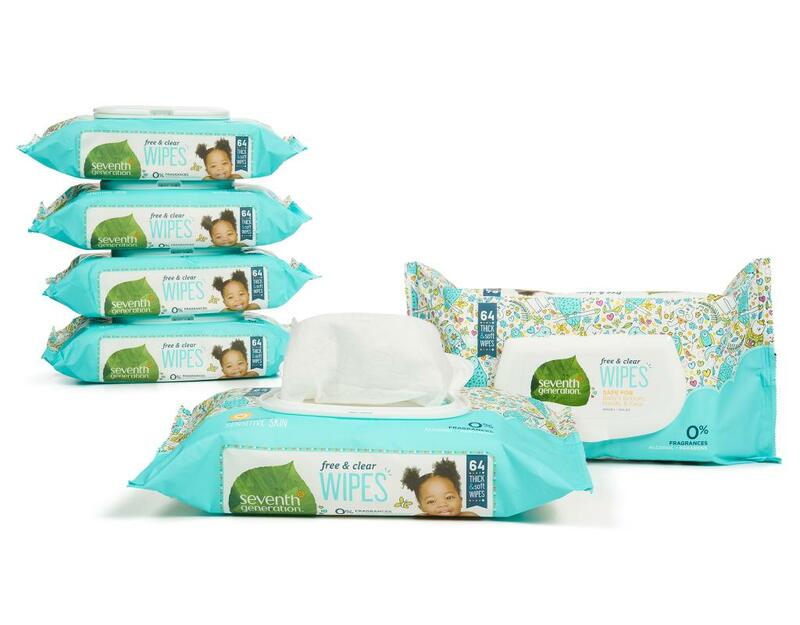 You’ll get all the comfort and performance of cloth while using fewer wipes. 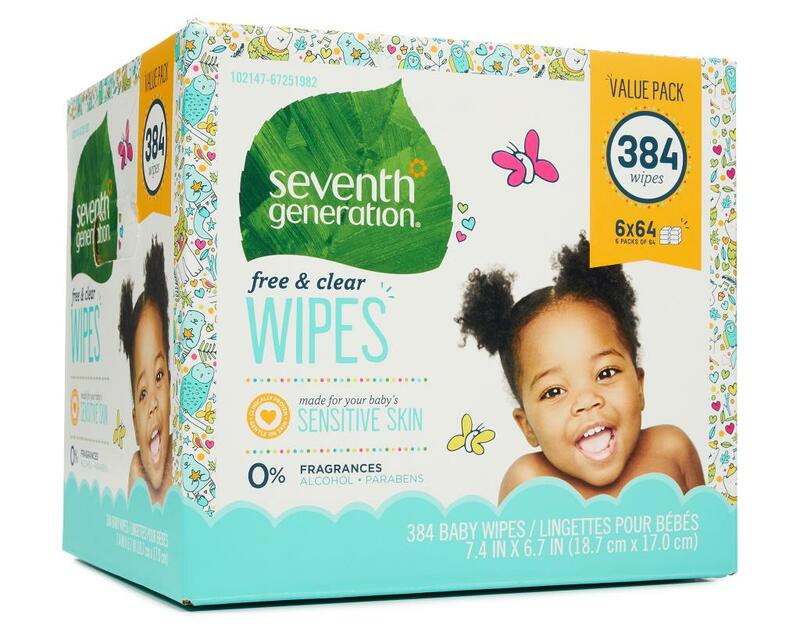 Seventh Generation baby wipes are all-in-one mess masters, quickly swiping up spills and gently unsticking little hands. Count on them for beach days, spaghetti nights and everything in-between. 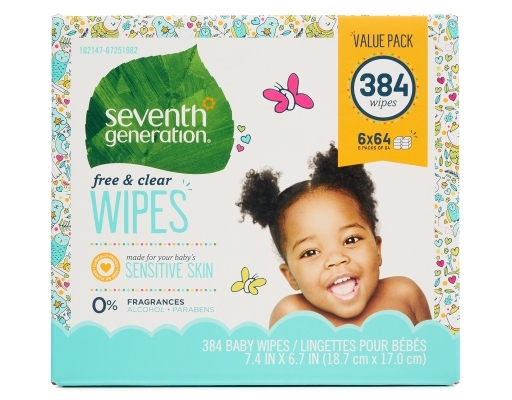 • Free & Clear Baby wipes use 70% less plastic than the classic wipes, thanks to the use of plant materials. 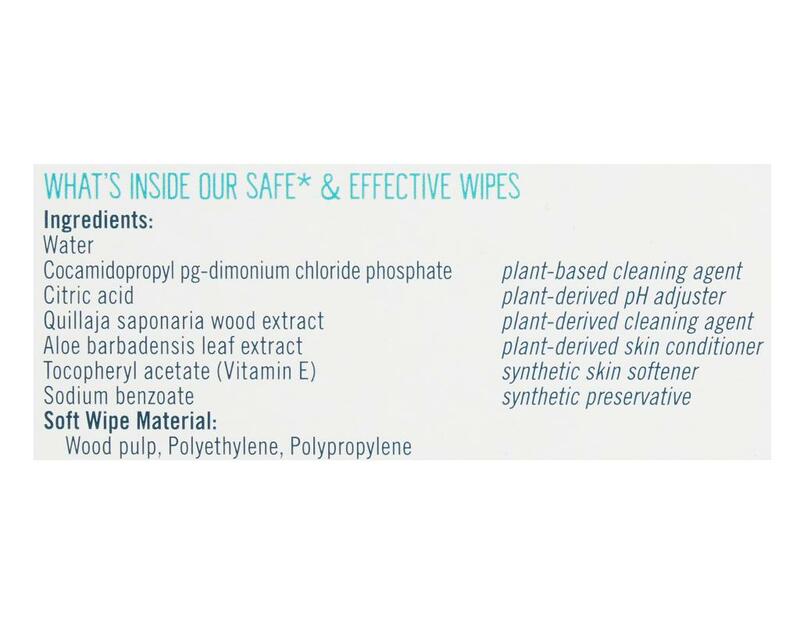 Water, Cocamidopropyl Pg-Dimonium Chloride Phosphate (Plant-Derived Conditioning Agent), Citric Acid (Plant-Derived Ph Adjuster), Quillaja Saponaria Wood Extract (Plant-Derived Cleansing Agent), Aloe Barbadensis Extract (Plant-Derived Emollient), Tocopheryl Acetate (Synthetic Antioxidant), Sodium Benzoate (Synthetic Preservative).